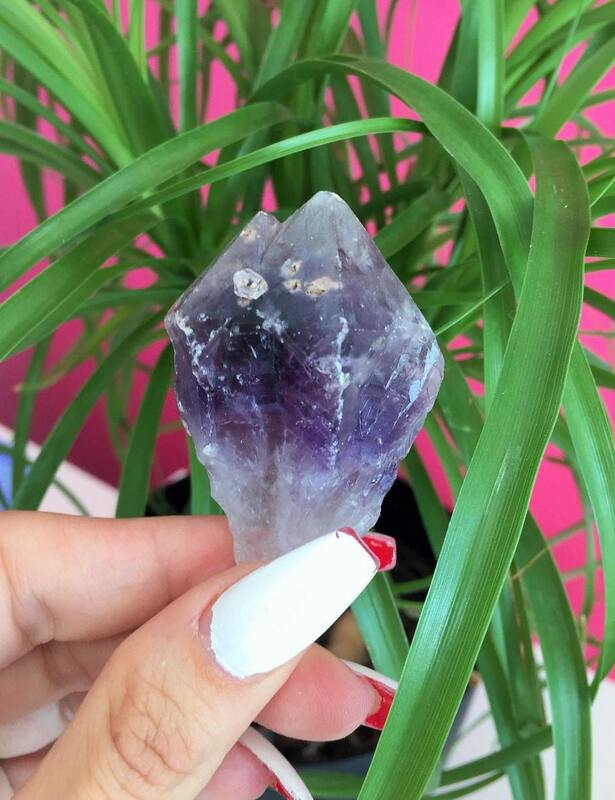 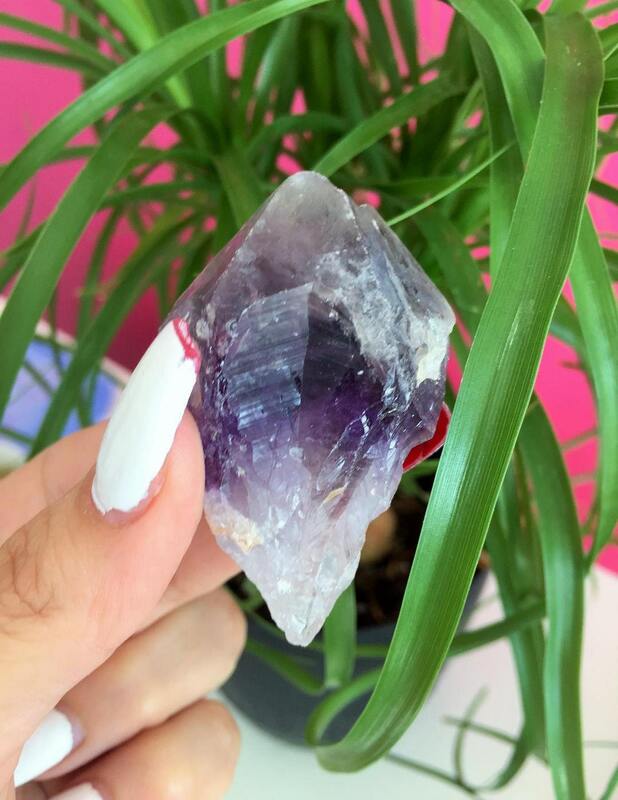 Receive this double point from Vera Cruz,Mexico has a lovely point withclear quartz at the bottom of the crystal and starts to get purple midway up diffusing into a deeper shade of purple and clear quartz. 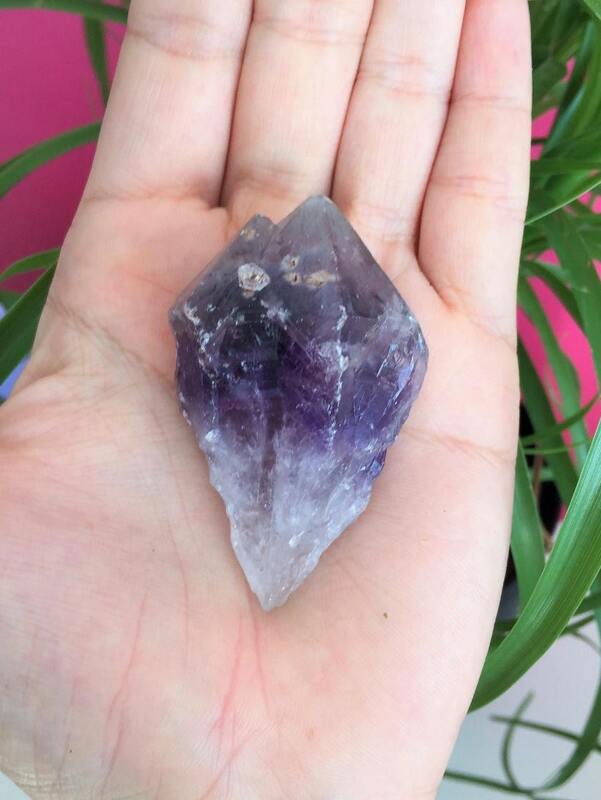 It is known for its supreme clarity and extremely high vibration. 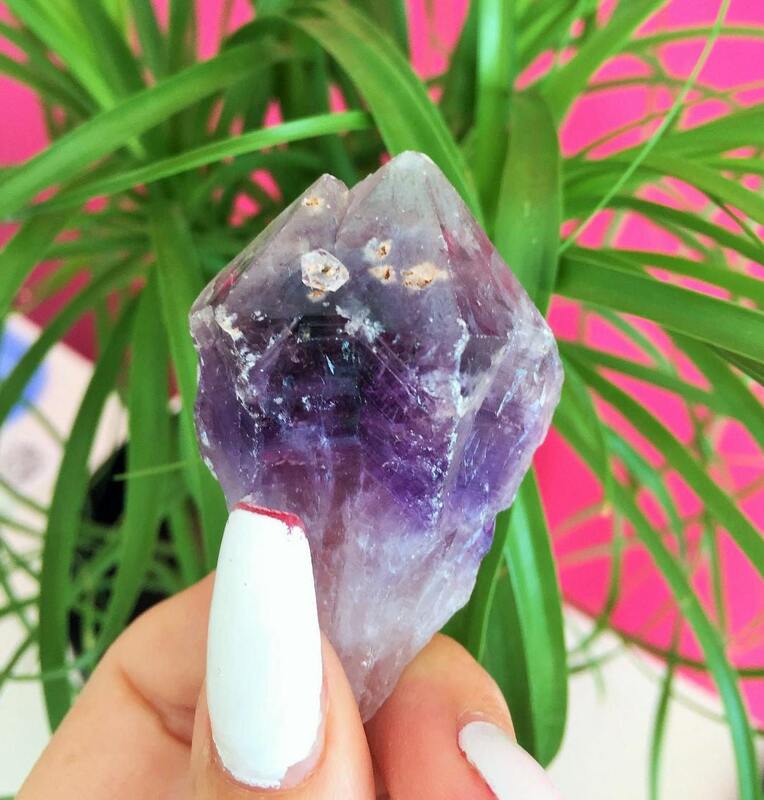 It is said to instantly take one into a brain wave state that facilitates meditation and journeying. 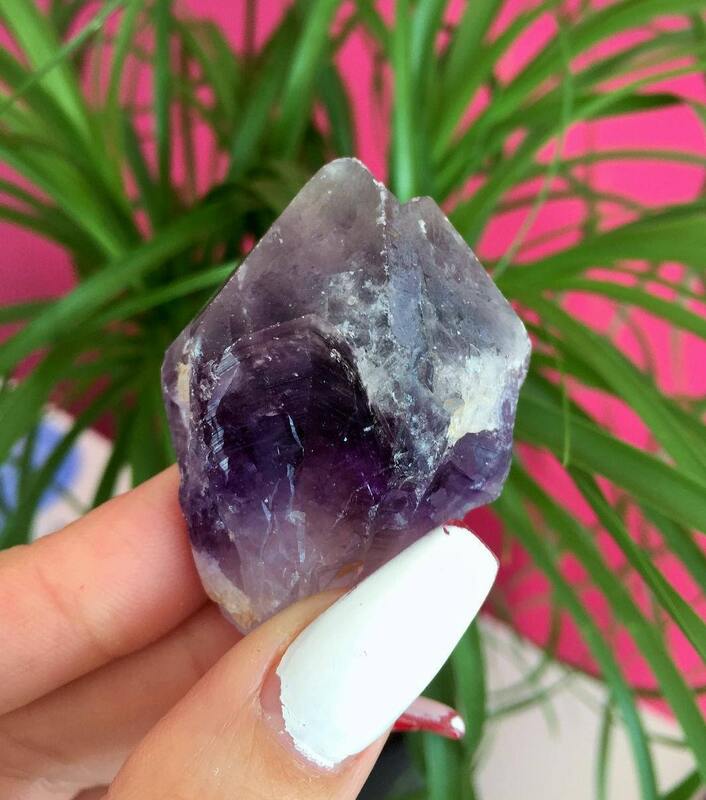 It is beneficial for metaphysical gifts and multidimensional healing as well. 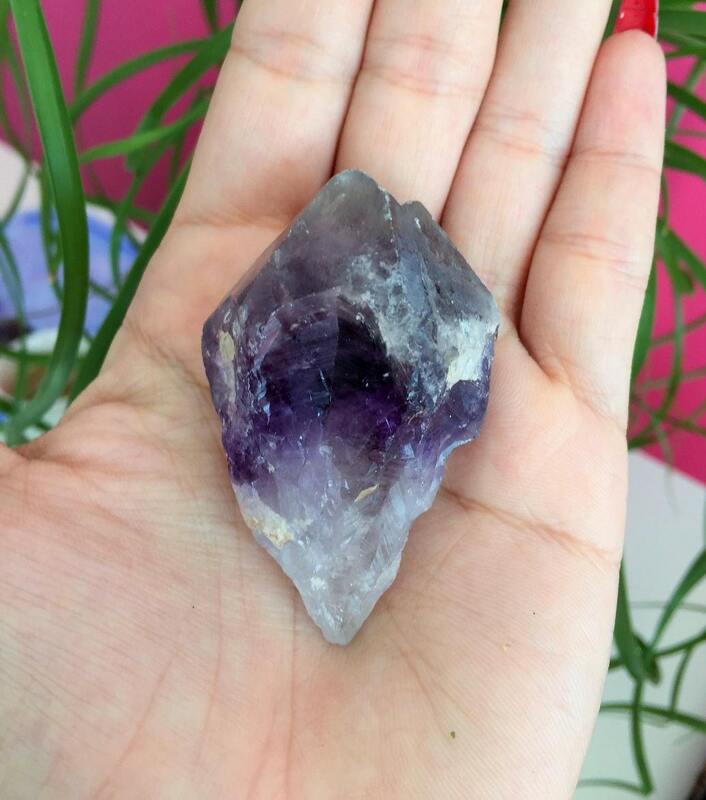 Would you like to view our collection of Amethyst Points?